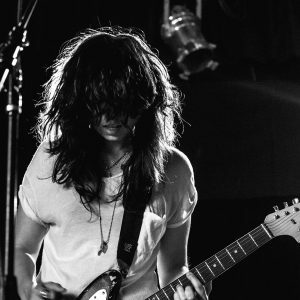 Home Posts tagged "pop rock"
This week I’m recommending first single from Tatiana DeMaria, the front woman for TAT who is working on a solo record. Her song “Too Much” is a fast paced pop/rock/punk mash up. I love the pace of this track. Gets me rockin’. Also I love Tatiana’s voice she is one of my all time favorite vocalists. She has such incredible range and power. (More like summersault, am I right?) 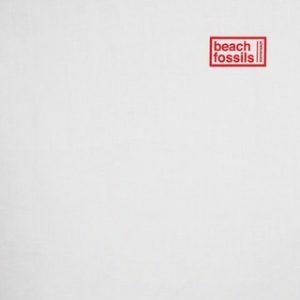 Known as Beach Fossils, the unassuming Brooklyn-based low-fi indie rock band’s latest release is a head-scratcher alright — enjoyable, catchy, yet difficult to explain apart from our, admittedly, singularly-minded compulsion to conform it to the summer season. Let’s kick off the episode with a discussion on the ambiguous “summer album” before diving into Somersault itself by the Beach Fossils. Welcome to our “official” inaugural episode of 2017! To kick off the year, we’re looking at a well-known pillar of the music industry: Sting and his twelfth solo album since departing The Police (and first solo rock album in more than a decade), 57th & 9th. 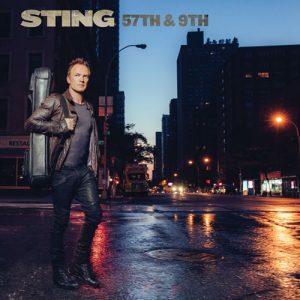 In an outward and inward-looking album where Sting takes a hard look backwards and a hard look at his surroundings at the same time, how does 57th & 9th fare as a work of art? Press play and contribute! Also, @1:57:35, we turn in our New Year’s “homework”, assigned to us back in ep. #222. In a frenzied search for weird and wild forms of art, we discuss six music genres that appeal to us—or repel us—in style or concept, all in an attempt to stump our colleagues. What niche genres do you find appealing? 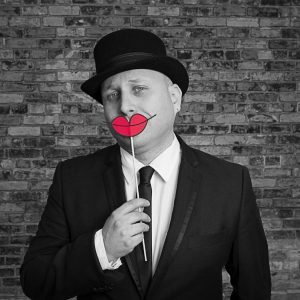 This week, Matt welcomes a singer/songwriter hailing from Stoney Creek, Ontario named Aaron Little. With his latest single, “Nobody To Talk To”, off his upcoming record It’s About Time (out on August 26th), Aaron touches upon his new record with Matt, discussing the inspirations behind it. He also chats about the music scene in Canada and how it might differ from the scene here in the states. Moving on to his background, Aaron lets us in on how his songwriting is affected by such factors as his music influences, his education, and whether he’s playing with a band or as a solo artist. And so, with some final notes on the difficulties and challenges of being a modern indie artist, here’s presenting Matt Storm and Aaron Little. Today, Crash Chords is pleased to welcome guest Kati Delaney (visual artist, voice-over artist, and former Way Station bartender extraordinaire)! She joins us to discuss her voice-over work, the development of her drawing style, and–segueing into the album of the week–her many MISadventures experiencing music as a bartender. Finally we come to her album of choice: the 2016 reissue of Everybody Wants by the glam rock insurgents from the U.K., The Struts. Help us break down the album, and let us know your thoughts below! 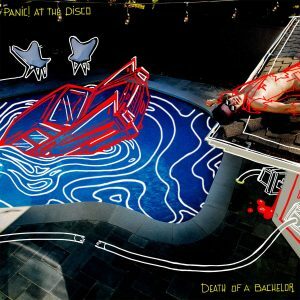 This week we take on the latest release by pop rock mainstays Panic! at the Disco: their 2016 album Death of a Bachelor. We dissect the album top to bottom and, as always, invite some active contributions in the comment board. After that, you’ll DEFINITELY want to tune in for our topic at 1:36:03 to hear us discuss the concept of “newness”. That’s right… new, novel, fresh, creative… whatever you call it, “newness” seems to be at the heart of what we’re after when our “comfort art” is all but spent. But is this always the case? After all, what makes something NEW anyway? Can anything be truly new? Or, are all things new, and we’re just scraping to recognize patterns? Come and join us in this timeless critics’ crisis! We’d love to hear from you. Analyzing a free album may seem a bit harsh, but as Groucho Marx said: “Art is art, isn’t it? Still, on the other hand, water is water. And east is east and west is west, and if you take cranberries and stew them like applesauce they taste much more like prunes than rhubarb does.” Case in point, we’re doing it anyway. 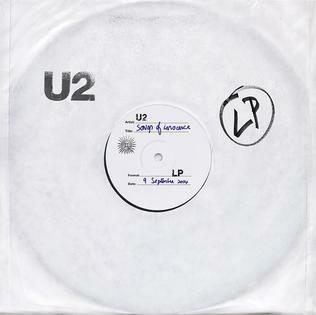 The altruistic album, by U2, is called Songs of Innocence and is available to all (with an Apple ID). Then, a few thoughts on a curious term: “Anthemic Pop.” What’s wrong with feelin’ good all the time? Prepare to ease yourself into the creamy lo-fi world of Beck. 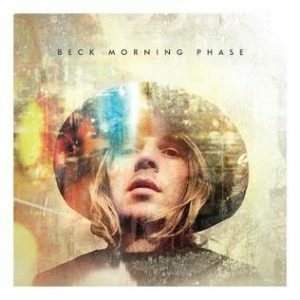 After a six-year hiatus, Beck has returned to making studio albums. This week, we’ll be reviewing his highly-praised Morning Phase. Then, on the topic frontier, we sidle back over to an old favorite: cinema — only this time in regards to its bite-size self-portrait, the trailer! Join us in uncovering just what variety of music makes a good trailer flow… or better yet, sell. 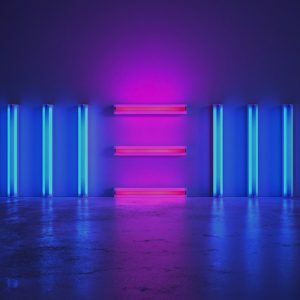 We’re kicking off the year with a common thread by tackling the most influential Pop/Rock songwriter ever to bridge the Atlantic: Sir Paul McCartney. Join us in this review of his new album, New. And don’t go away! You’ve probably heard the phrase, “They don’t make ’em like that anymore!” We’ll be discussing just what fascinates people about music from bygone times. Is it just that pesky nostalgia at work, or something more fundamental? These and more unquenchable queries in a brand new year of Crash Chords! 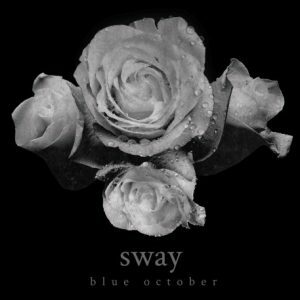 For this week’s review, we take on Blue October and their latest LP, Sway. Then, we try to leave all connotations at the doorstep for a serious discussion on sympathy vs. empathy, or how we relate to the artist.